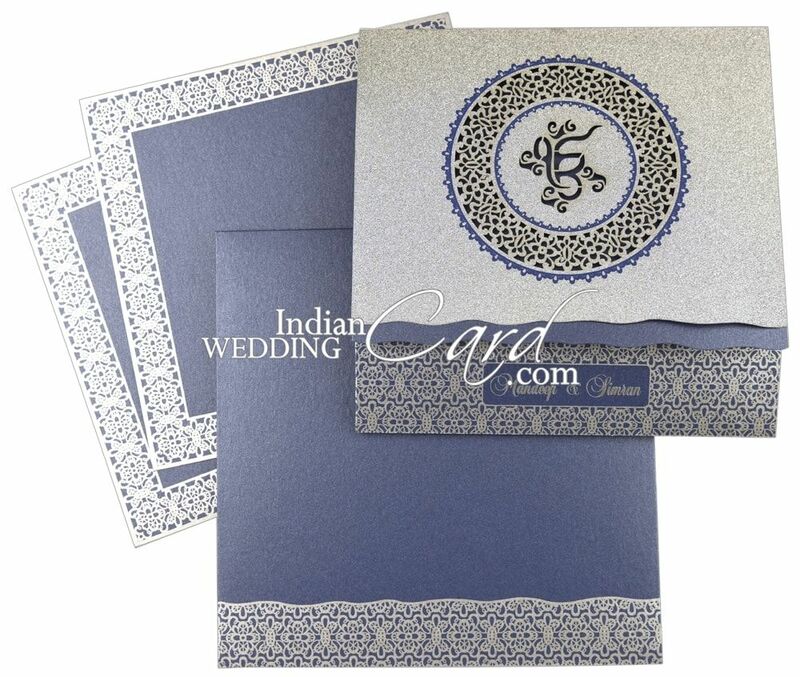 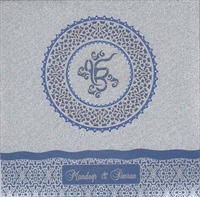 Beautifully laser cut motif and “Ik Onkar” symbol adorn the main card. 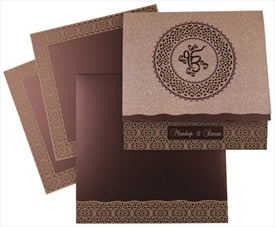 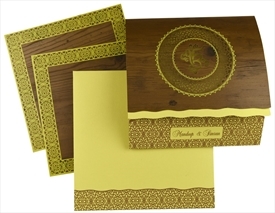 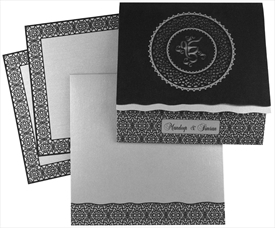 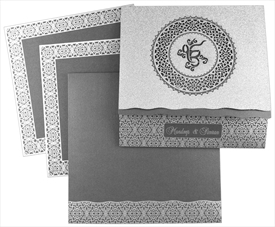 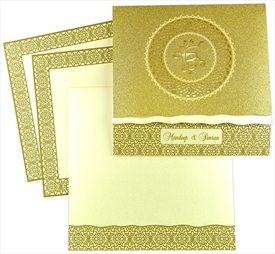 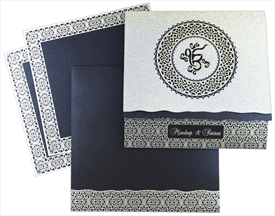 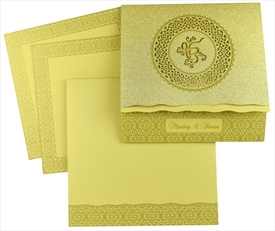 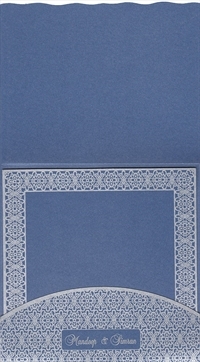 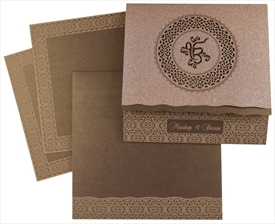 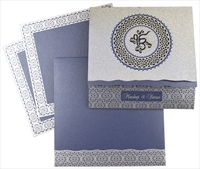 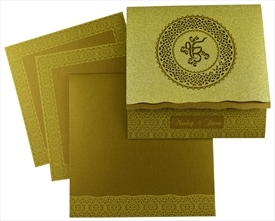 The main card, envelope and inserts have contrasted motif border. 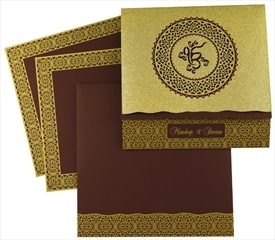 An extremely graceful wedding invitation! 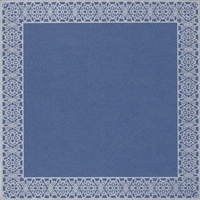 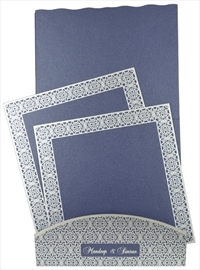 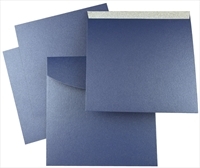 Blue shimmer paper (250 gsm) for main card, 2 inserts and envelope. 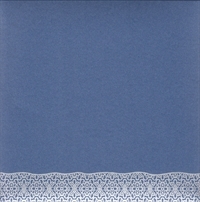 Silver glitter paper (120 gsm) for front overleaf.